The device is designed to work with networks with nominal frequency 50/60 Hz. 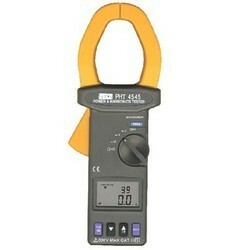 We Offer Multifunction Power & Harmonics Analyser. This Multifunction Power & Harmonics Analyser Has Standards : Iec61000-4-30 (2008) S Class, En50160 (2007). 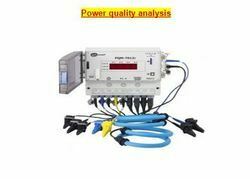 This Multifunction Power & Harmonics Analyser Has Easy Operation To Capture The Power Quality Problem. Backed by a team of highly skilled and experienced professionals, our organization is engaged in offering best in class Power Quality Analyzer. Using ProCash Analyser software, replenishment volumes and intervals are individually determined for each cash point, such as an ATM, Branches etc. This reduces costs in the replenishment process and enables significant reductions in the interest costs caused by cash holdings that are too high. - Measures voltage, current, inrush current, power, power factor, energy etc.